Halloween is fun for all ages, but it's even better without the mess. With two easy pieces—one from the kitchen and one from your toolkit—you can make this kid-friendly jack-o'-lantern in just a few easy steps. Celebrating Halloween with the kids seems like a great idea…until it gets scary. Pumpkin guts everywhere, kids equipped with carving knives, and arguments bubbling up over how to carve the face (sweet? no, spooky!). Amplify all of that by the sugar rush from the pile of candy just unwrapped. Keep the peace—and from having to pull out the Band-Aids—with a genius carving trick from Steph of Modern Parents Messy Kids. The best part: Her way to get quick, clean cuts is probably already camping out in your kitchen. Instead of making a run to the store for a kit this year, rifle through a drawer and grab a few cookie cutters to guide your cuts. Begin as you typically would, slicing off the top of your jack-o’-lantern with a sharp knife and scooping out all of the pulp. 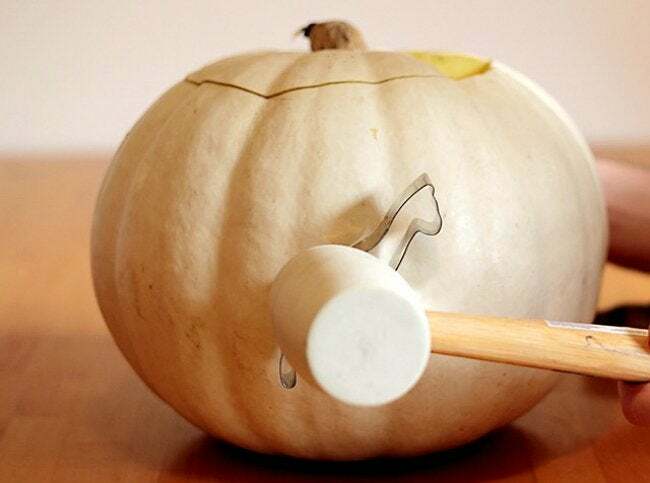 Then hand the emptied-out gourd over to the kids, and have them tap their preferred cookie cutters into the skin of the pumpkin using a rubber mallet or small hammer. Once a design is pressed into place, the supervising adults can carve along the inside of each cookie cutter and punch the shapes out. 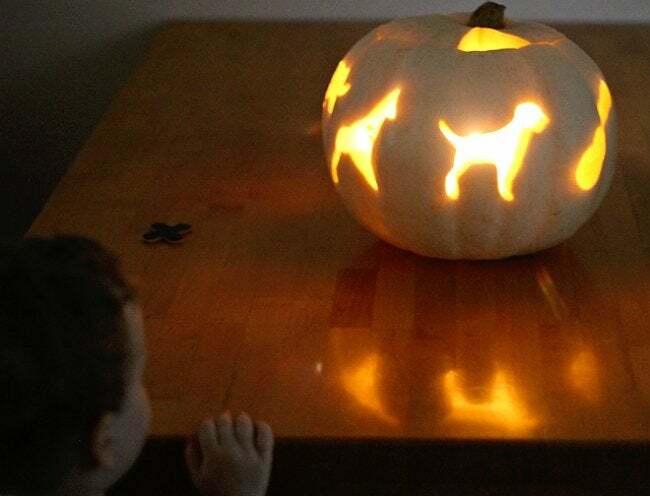 To get that gourd glowing, add a candle or an LED lantern inside and set it on the porch. Besides keeping the mess to a minimum, this method makes it easy to appease picky kids. Steph’s advice: Customize your own ‘kit’ with “whatever theme your kids are currently interested in” by snagging one or two themed cookie cutters when they go on sale. The kids won’t get bored, and your porch will feature pumpkin carvings with pro results. What’s not to love?